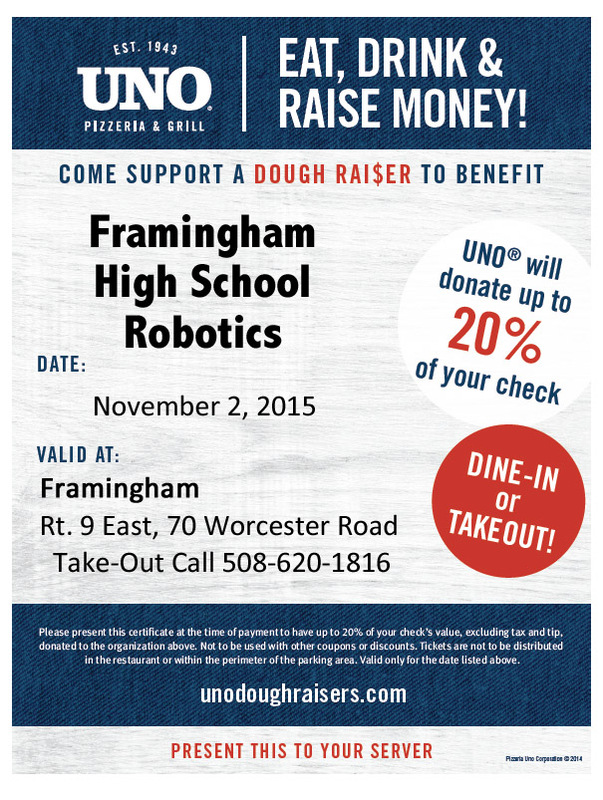 Robotics DoughRaiser at Uno’s on Monday, November 2! We will receive up to 20% of all the day’s sales that include our event flyer – this includes dine in, take out and catering orders. This flyer must be presented when paying the server or picking up your order. Uno’s has many DoughRaisers happening and without our flyer, they cannot designate sales to us. Print out this flyer and bring it with you!